Whatever the sport(s) (Swimming, Golf, Tennis, Snow Skiing, Beach Volleyball, Extreme Sports, Cycling, Jogging, Triathlons, Water Skiing, Fishing, Baseball, etc.) if you’re outdoors, these Oakley Flak 2.0 XL frames are perfect for you. The Oakley brand is universally recognized for its quality sportswear and equipment. 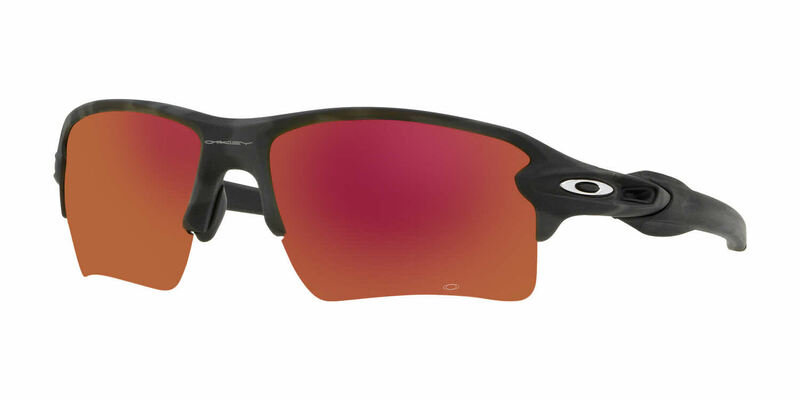 Oakley Flak 2.0 XL Sunglasses are a part of the Oakley Performance Collection made for athletes. The Oakley Flak 2.0 XL Sunglasses feature the word “Oakley” on the bridge of the frame front and the signature O logo on both temples. Frames feature Unobtainium earsocks. Unobtainium is a synthetic material used by Oakley that increases adhesion when in contact with water or sweat. Prizm™ lens technology ensures that your Flak 2.0 XL lenses’ colors will increase vision in harsh light or when playing sports outdoors. Lenses feature an 8 base lens which extends around the face to protect peripheral vision. Certain colors of lenses are available with polarized lenses which aid in cutting down glare. Frames come in a wide variety of color combinations. Available in Alternate fit which favors those with higher cheekbones and wider nose bridges. Oakley Flak 2.0 XL Sunglasses come with an Oakley protective carrying case and cleaning cloth. These glasses are very light on face, Oaklay cuts the best lenses in the business. they offer great protection for your eyes for outside work. I have two prescription pairs the other are sunglasses in a different color and several other Oakley glasses. The best hands down. I bought a pair of these with RX lenses. They fit well, the transitions lenses work well and they stay in place, no readjusting them. The rubber sock over the ear piece really holds them in place. So happy with the purchase. Love the style and fit. I ordered a different frame first which I did not like and the service was great. They switched out for these right away, and I got them quickly.